A seven-step system for fixing and flipping properties! If you ever wanted a blueprint to successfully fix and flip properties, then this guide to investing in real estate is the answer. This audiobook takes the guesswork out of flipping houses and gives you exactly what you need to know that can quickly put you on the path to becoming a full-time, successful real estate investor. In this no fluff guide, you'll get a clear, concise, and actionable system for fixing and flipping houses for beginners. You'll learn how to approach real estate investing in a way that practically guarantees success. After going through each section of the book, you'll have a clear and step-by-step formula for rehabbing houses. If you've ever felt defeated or overwhelmed by how to get started in the real estate investing business, then this guide is for you. You can accomplish more than you imagine by modeling already successful real estate investors. 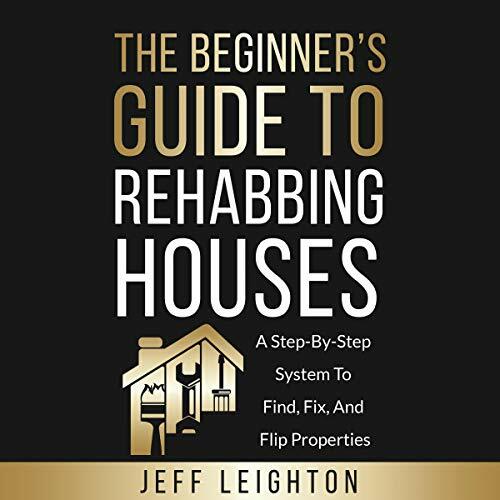 The Beginner’s Guide to Rehabbing Houses gives you a simple but incredibly useful step-by-step process you can use today! It's practical. It's actionable. Also, if you follow it closely, it will show you how to make money in real estate.